I am the second owner of this truck. It was given to me by my father-in law in 1990, so it is still in the family. 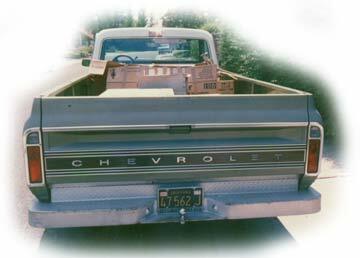 Here are some pictures of the truck with its original white/medium olive two tone paint job in 1991. 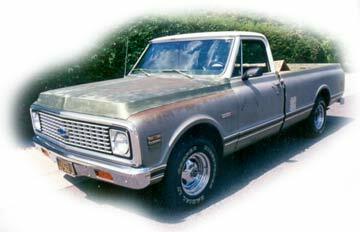 When I took possession of the truck it had an old metal insulated camper shell on it. 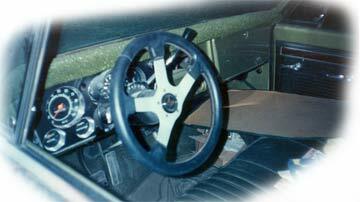 I had replaced the steering wheel, distributor, (with an HEI electronic distributor) and put new tires and American Racing chrome wheels on it. 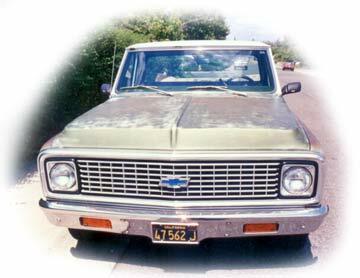 The truck was built in Fremont California and had no dents or bondo on it, just one scratch. My father-in-law (Elmo Williams) had purchased the truck after he retired from contracting. Elmo passed away in 1994.